How to Market Your Business for Free on Instagram? Top 7 Ways to Do Just That! Instagram is a social media platform that has more than 700 million users on the Internet today. This is why it is the perfect platform for every business. Instagram is a mobile application that helps you to upload photos of the products you sell for business. In fact, Instagram gives you the scope to present your products in a visually attractive way to your targeted audience. If you know how to optimize Instagram well, you will be able to get better leads and sales for your business. This will improve your business revenue as well. You can log into the site of Instagram and sign up for free. You also have the option of signing in with Facebook. This, in fact, is one of the quickest and simplest ways via which you can log into Instagram and create your account. When you sign into Instagram with Facebook, you will automatically be connected to your friends that are already on the platform. They will instantly start to follow you. This means if you are looking for people to follow you on Instagram, you will find that your friends and family will be your first followers. They will help you to boost your business profile as you gradually prepare yourself to get more followers from their network circles. It is essential for you to choose high resolution and quality photographs for your business profile and website. If your photographs have poor resolution and are not high in quality, you will not be able to get likes or comments. People will also stop sharing your photos, and they might not come back to your profile at all. If you want to make your presence on Instagram felt, take high-quality photos and make use of the photo filters on the platform. These platforms will help you get better visibility on the platform and have the high scope of going viral. If you are taking photographs with a camera focus on the angle and light. You may take your pictures with a smartphone and upload them to your profile instantly. Improve them with the photo filters on the platform. If you are taking photographs with a camera, ensure you focus on the angle and the light. If you are taking pictures with your smartphone, ensure you use the right settings and edit the photos with the Instagram filters available. This will help you make the photographs go viral on the internet. Your photographs should have the right filters and try to use the same filter for all of them- this will become a theme. This might sound strange however it is true, you can increase your real Instagram followers by liking the photographs of others. When you like the photographs of other people, you will find other people visit your profile and decide to follow you. They start to like your photographs as well, and this helps you to establish a good network. If you are looking for one of the fastest ways to increase followers, you should follow others so that they follow you back. This process of following other people will promote a strong connection between both of you. If you wish to increase the number of followers on your profile quickly, follow others daily. This might take longer time however when you comment on the photos of people you increase chances of them following you in return. They also like your photographs. This means if you wish to create strong bonds with your network, leave comments and take time out from your Instagram time to write positive comments that will trigger off a good response. In case, you are not sure on how to write good comments; you can read the comments of other profiles to get an idea. You just need to go through some of them to start writing yourself. Comments have the power to convert customers into loyal customers as well. When you are looking for ways to increase more followers to your business website, use hashtags that are relevant to your product. This will help you get visibility and more popularity online. The more hashtags you use will make your photos popular. Do not overdo the use of hashtags and limit the number of them to 4 at the maximum. When you are looking for more followers for your Instagram account promote shortcuts to links and another call to action activities. This will save time for visitors, and this will also increase your leads and sales. You should ensure that you promote these links on a regular basis. 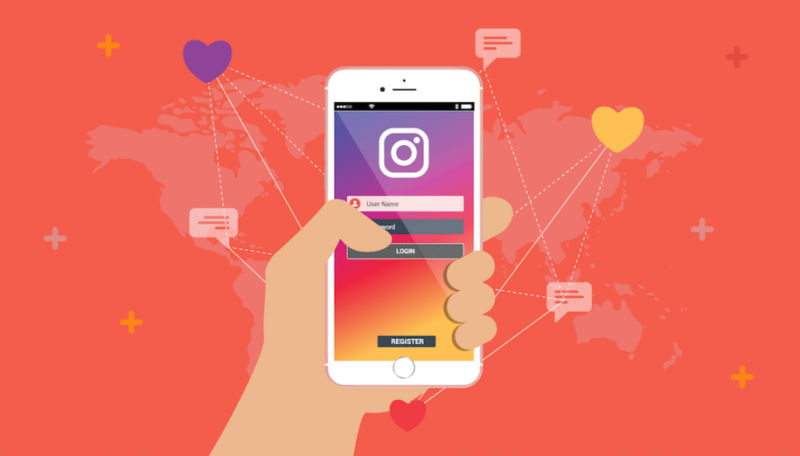 Instagram is a popular mobile application that is being extensively used by small to large scale businesses across the world. If you wish to reach out to your targeted audience and increase business sales and leads ensure that you register for Instagram and start uploading pictures of your products regularly. The platform is free and affordable for everyone to use for social media marketing and promotion of your business website. Ensure that your posts are regular and evaluate their performance so that you get an insight into how your products are being received in the market. The entire process is free of cost, and all you need to do is invest time and connect with your targeted audience so that you engage them well and increase returns on investment on your business!